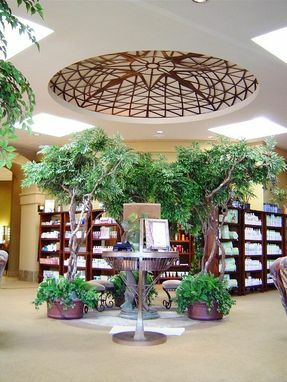 The 12' diameter Ceiling Dome is made of Steel and has a antiqued copper finish. Beneath that is a Custom made computer Hostess stand which is made of steel and has a antiqued bronze finish. Dimensions: 12' x 12' x16"